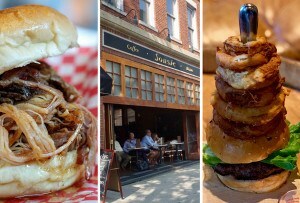 The space-themed diner has landed in the former Centre Street Café. 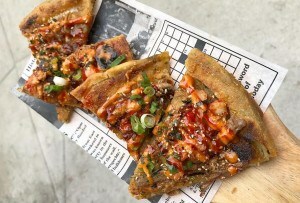 By Jacqueline Cain·	 7/11/2018, 9:54 a.m.
A new astronomical, gastromical spot is open in Jamaica Plain. 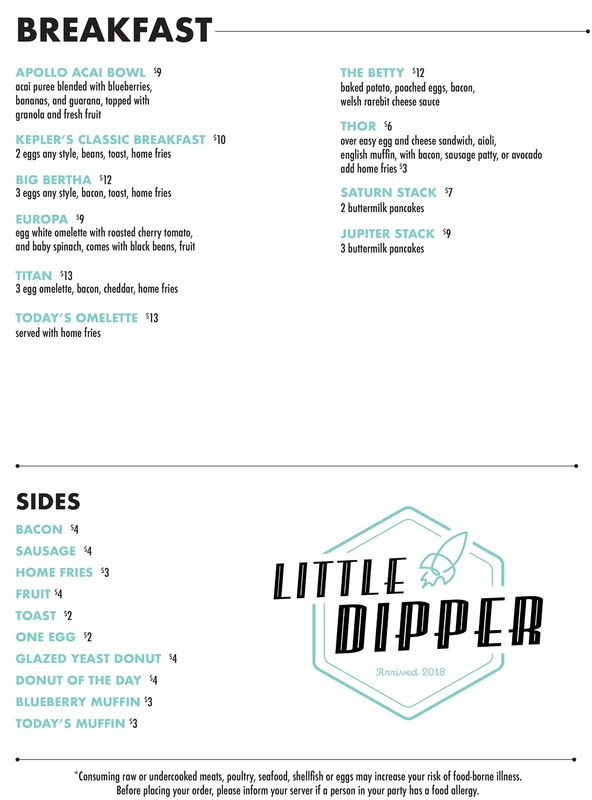 This morning, Little Dipper debuted with eggs, fruit, home fries, house-made doughnuts, and more, replacing longtime brunch favorite Centre Street Café. David Doyle, who also owns Centre Street spots Tres Gatos and Casa Verde, was involved in the ownership that changed Centre Street Café from a reliable neighborhood place into a date-night destination in 2015. 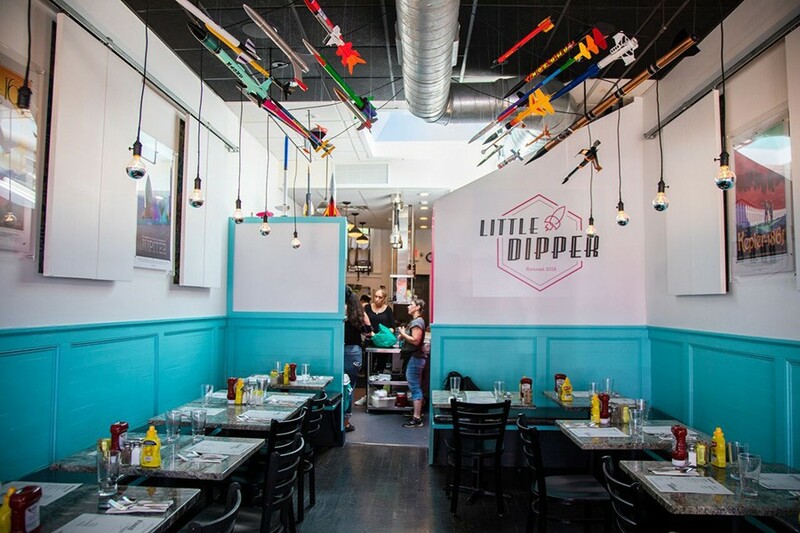 Little Dipper, which was announced in April, is a partnership between Doyle, his wife, Mari Perez-Alers; chef Robyn McGrath, and partner Leila Asher, and it’s more a reflection of Doyle’s personality. He built the model rockets soaring above the newly revamped dining room, and decorated it with framed prints of vintage space travel posters. The small space trades Centre Street Café’s dark blue for a bright teal color, though the dark painted floors remain. 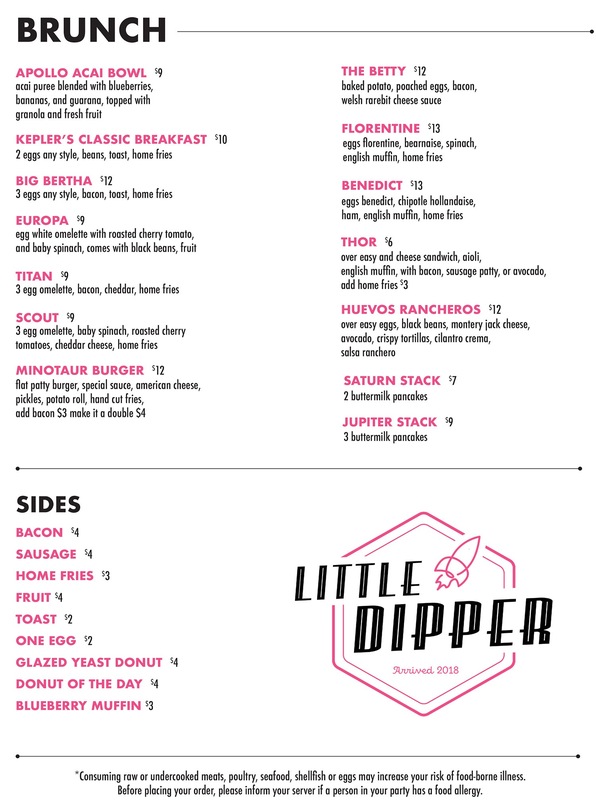 Little Dipper starts this week with breakfast and lunch from 7:30 a.m.-3 p.m. 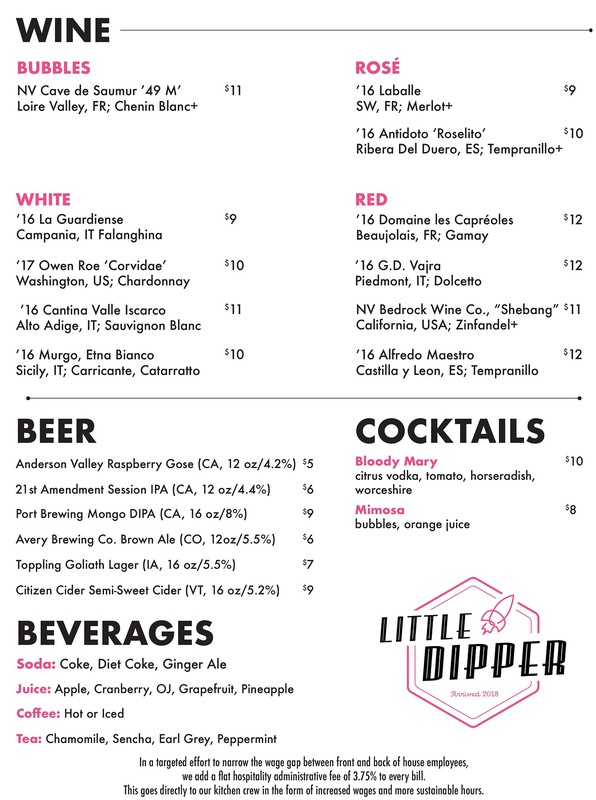 Check out the opening menus below, with a summery açaí bowl, a couple egg-and-potato combinations, omelettes, and pastries among the morning offerings; and burgers, chickpea patties on house-made flatbread, salads and more at lunch. 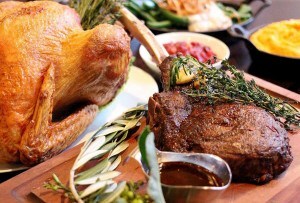 “We’ve got plenty of dishes set to hit the menu in the upcoming weeks and months,” adds Yuri Bredbeck, the restaurant group’s operations manager. Brunch is on Saturdays, Sundays, and beginning in the coming weeks, also Mondays, with a house punch bowl and more for the industry crowd. 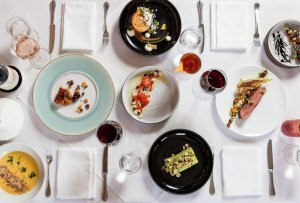 Later this summer, dinner service is written in the stars. 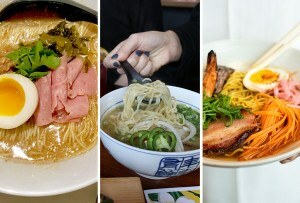 The celestial, all-day diner isn’t the only new thing to land in JP recently. 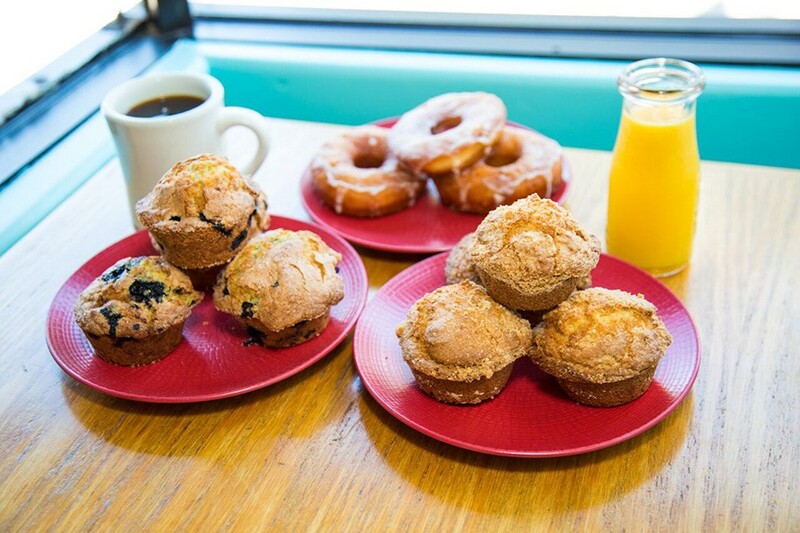 Evergreen Eatery, the second venture from the owners of JP Seafood, is now slinging American breakfast fare with a bit of Latin influence nearby the Green Street MBTA station, Eater Boston reports. 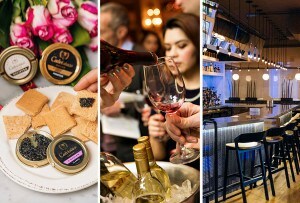 A chocolate shop called Cacao just debuted on Centre Street; and in June, Soup Shack started serving bowls of ramen and Thai-inspired noodles. Wild Pops is cooling things off with paletas from a new place on Washington Street; and Juicygreens, on South Street, is one of two new juice bars headed for JP this year. Evy Tea has reopened a bigger, tastier tea bar near the Stony Brook MBTA station, as well. See you on the Orange Line! 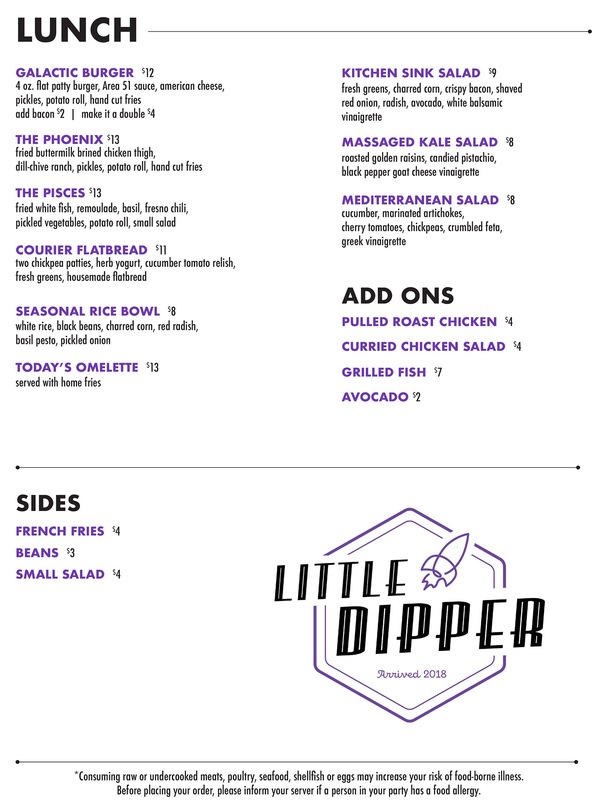 669A Centre St., Jamaica Plain, 617-524-9217, littledipperjp.com.